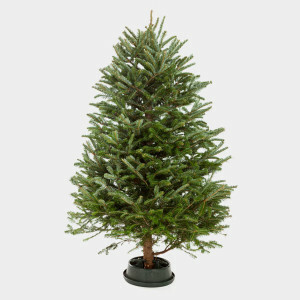 Your community’s residential garbage and recycling service provider accepts Christmas trees for recycling after December 25. Trees must be cut into 4 foot or shorter lengths, with no tree parts greater than 6 inches in diameter. Tinsel and ribbons, stands and all other decorations must be removed. Flocked trees are not accepted. Place tree parts in your green waste cart. Chicago Grade Landfill, Cold Canyon Landfill, Santa Maria Transfer Station and Paso Robles Landfill also accept Christmas trees for recycling. Fees apply.